Whisky Wednesday today, also known as hump day for a lot of people as you climb that hill and then speed toward the weekend. Well no need to be afraid of not having fun every day of the week as we get to dip into the 3rd edition for yet another enticing dram. A second expression from the boys at Ainneamh (remember its pronounced an-yoov). We are certainly getting a great pendulum swing from delicate to peaty so far in this edition. Are you keeping up with this roller coaster ride? So another mystery dram from Ainneamh. I do love these fun whiskies where you get to decipher clues and see if you can figure out the originating distillery. 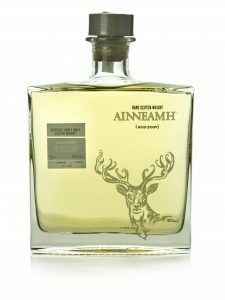 Ainneamh Speyside 18 Year Old Single Malt, Cask number 14432 refill American Oak Hogshead. Banffshire bottled at the cask strength of 54.7% with no caramel or chill filtration. Color: Yep another light whisky in a refill cask. Makes you really think about the massive amounts of artificial color added to whisky in the industry. 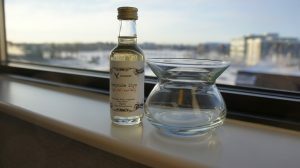 Why does a whisky have to be dark to be perceived as quality? Only because that’s the line that has traditionally been pushed on you all these years. As we know even a gorgeous 30 year old single malt can be very light and massive on flavor. Nose: Flora in spades on this one with oats and honey like top quality steel cut oatmeal freshly drizzled with honey and topped with cream. Palate: Candy apple toffee, the red sort (not caramel apples). Crunchy apple acidity like Jonathan apples (yep my namesake fruit). A zesty creaminess like cream stirred with sherbet. Finish: Tingly and long, coating and fresh. This is a fantastic aperitif whisky as a palate freshener before dinner. Perhaps between courses instead of the high end ball of shaved lemon ice. I could see a serving of this kind of whisky really taking off in some white table restaurants. I know I would be making my reservation. If you were in doubt that there is a whisky for every occasion then doubt no more. Fantastic little Speyside here Ainneamh team and amazing freshness for an 18 year old. I do love quality refill casks for this reason. Almost emulates what Samaroli do with their lightly toasted new oak casks. 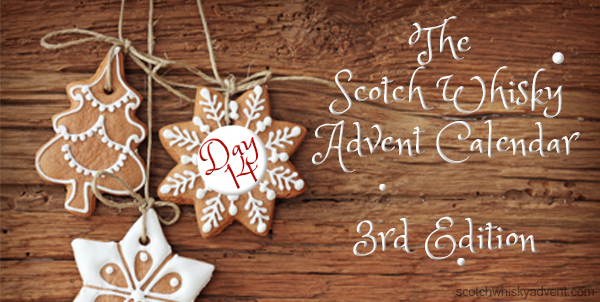 On this day in the second edition we had the Samaroli Blended Malt comprising of Glenallachie, Glentauchers and MacDuff. You can re-read all about it here. Whiskylassie is having quite the journey and you can continue to follow her in-depth experiences by visiting here. If you love this whisky then I unfortunately have bad news for you. Nothing left for us after filling our calendar bottles. We had an unusually high amount of whiskies that ended up being done and dusted once the mini’s were filled this edition. We will try hard to make sure that there is more of each delicious whisky next time around. Tomorrow we are heading back to my mate Stuart at the Malt Whisky Company for another one of his amazing casks. Highlands here we come.